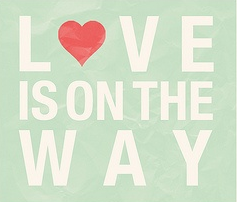 love is on the way! This is the unending life, the real life! I have a hard time sensing presence. because it opens the door to big lies. so the lies have no place to take root. I listen to words I don't deserve to hear. But that is what His love is all about. let Me flood you with My perfect love. I will answer the cries of your heart. and I know how to help you fully live. My love wins every time!